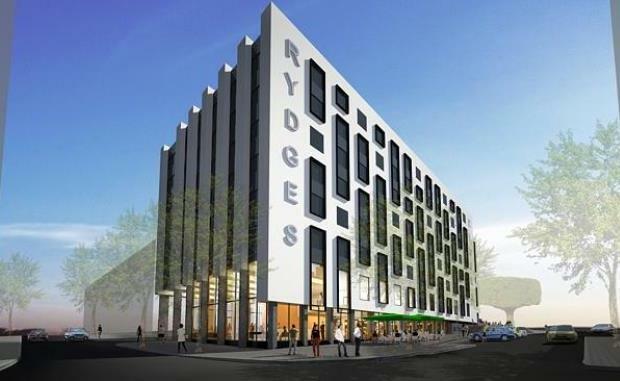 Denwol Group of Sydney and Stewart Baron’s Baron Corporation of Melbourne, has been working with the RNA, consultants and approval authorities for close to 12 months to finalise the hotel development agreement for the new Rydges Brisbane Showgrounds Hotel . The hotel will provide for a four star, 208-room hotel project, with the consortium having set an ambitious target to have the hotel completed and launched in time for Ekka 2015. CBRE Hotels Senior Director Wayne Bunz brokered the transaction, which is subject to a final due diligence period. Steered by hotel development and ownership team Denwol Baron, the hotel would comprise a mix of standard rooms, suites and family accommodation with a sweeping 70+ metre frontage to the new main Brisbane Showgrounds thoroughfare of King Street. “It will provide for comprehensive food and beverage offerings including a restaurant spilling out on to the King Street promenade and a high exposure bar at the hotel’s dramatic architectural interface with Gregory Terrace,” said Stewart Baron. Mr Wolanski, the developer of the recently completed Rydges Sydney Airport Hotel, said the location was enhanced by the association with the Showgrounds, the commercial offices moving into the area and the proximity to the Royal Brisbane Hospital. He said the hotel was expected to generate significant visitor and conference trade in association with the recently completed $59 million Royal International Convention Centre. RNA Chief Executive Brendan Christou said the RNA was completing the due diligence process for the hotel, which was viewed as a central component of the $2.9 billion Brisbane Showgrounds regeneration project being undertaken in conjunction with Lend Lease. “Provision for the hotel was first outlined in the 2010 Brisbane Showgrounds Master Plan,” Mr Christou said. Mr Christou said the RNA was now in its fourth year of the 15 year regeneration of the iconic Brisbane Showgrounds, with major stage one works already completed including the Royal ICC and construction well underway on The Green apartments and commercial tower, K1. CBRE Hotels Senior Director Wayne Bunz said the Royal ICC and RNA events would be a key demand generator for the new Brisbane Showgrounds hotel. “Whilst there is other mooted new hotel supply for Brisbane, only projects that that are being built in a precinct where there is a demand generator such as the RNA will be successful,” Mr Bunz said. The construction is expected to commence immediately after this years Ekka.